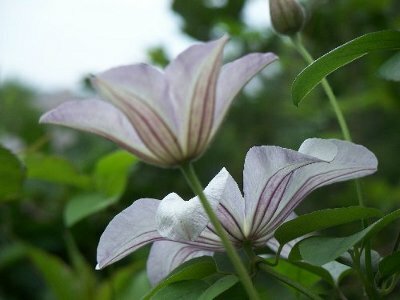 Huldine Clematis: large plant with many white flowers over a long season. 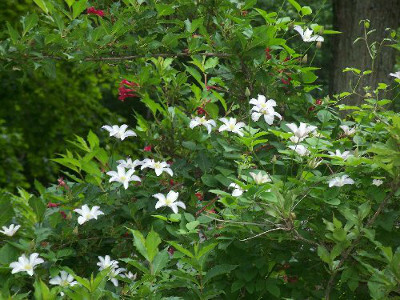 Many clematis fanciers consider Huldine the best of the whites. Notice the delicate coloring on the back of the bloom! A very prolific bloomer, this gal gets LARGE - give her lots of room!